Lieutenant Commander Jim Wilson, a fighter pilot aboard the carrier USS Valley Forge, is weary of combat over the skies of Iraq. He has been there many times since the late 90s, but now, as each passing minute draws him once again closer to combat, various other conflicts also complicate his life. His executive officer Commander “Saint” Patrick becomes unreasonably overbearing; his wife Mary, fed-up with their long separations, applies pressure for him to resign from the Navy; junior officers test his leadership skills as they act in unpredictable ways; and the raging sea outside serves as the only thing that separates him from events that will change forever his life and career. Imminent combat with the inhospitable and hostile countries over the Arabian Gulf horizon is the one constant he can depend on. I loved this book, the style of writing, the action and the characters. I could not put this book down. The detail of it was amazing, and I was engrossed in it from start to finish. It was incredibly well done, and I felt like I was flying at times...it was a great adventure. An awesome author, and an equally brilliant book. Thank you. 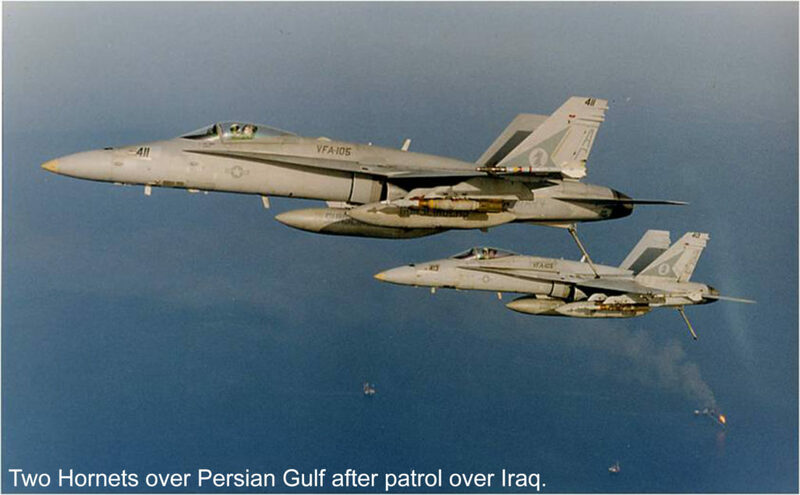 This book reveals the life of naval warriors who, as pilots, flew off carriers in the Gulf of Oman against Iraq and Iran. Kevin Miller, a former naval aviator, gives the reader his amazing insight into the minds and hearts of the men and women who fly missions in combat. You are in the cockpit, experience the carrier take off, the enemy SAMs, antiaircraft ground fire, and the intensity of delivering the ordinance to the ground targets. You live the fears and anxiety of air to air combat, where the pilot's skill and airframe's capability are measured against the enemy's. This is a totally captivating story, told by a pilot who has been there and done it. Excellent reading. An Outstanding Book That You Can’t Put Down! I am an avid reader of a variety of writing genres, but rarely have I encountered a book of any sort that so captivated my interest. Wonderful read backed up by deep knowledge of the subject matter. Couldn't recommend this more heartily. I'm incredibly impressed that this is Miller's first novel, too! Well worth your time and attention! This is an I-can't-put-this-down aerial thriller! One of the very best combat flying books I have read. If you like the details of flying combat jets from carriers, this is as good as it gets. It's been years since I've stayed up nights to finish a book. I couldn't put this one down. Raven One is very well written, exciting to read and ample suspense for even the most demanding reader. Move over Dale Brown! Not since the last authentic Clancy have I read a more authentic feeling story. Probably because Kevin Miller was writing from extensive knowledge of the language, behavior and technology used by the protagonists. Character development is excellent, the storyline is compelling, and the book is an absolute joy to read. Can't wait for Miller's next book. From the first page the author grabs you, slams you into the cockpit and launches you into a great story. He not only tells a thrilling story but also shows you what leadership is and the human story that makes all the techno-thriller plot work. Well done. Should be on the New York Times Best Seller List! OUTSTANDING read by Kevin Miller. This is definitely a book I couldn't put down. Excellent storyteller and I really hope there is a sequel! Absolutely the best naval aviation story ever written. Over the course of Naval Aviation’s 104 year history, there have been relatively few novels that accurately and compellingly capture the essence of our Tailhook profession. Kevin Miller’s Raven One is one of these compelling novels. 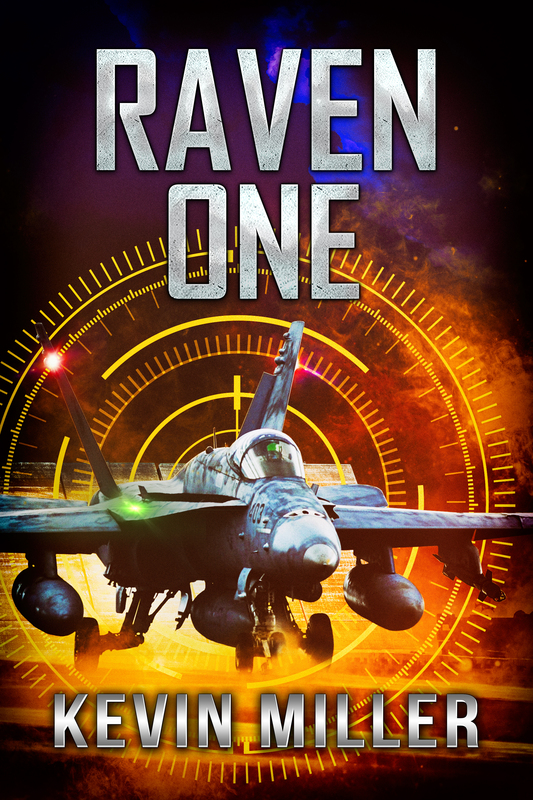 Set in the aftermath of Operation Iraqi Freedom, Raven One details the shipboard life and the operational flying experiences of a modern day Carrier Air Wing flying off of the fictional USS Valley Forge, a Nimitz-class Aircraft Carrier operating in the Persian Gulf. The main character in Raven One is LCDR Jim “Flip” Wilson, an F/A-18C pilot who is the Operations Officer of the VFA-64 Ravens. Flip is a hard-charging, TOPGUN trained O-4 trying to balance the demands of being a top-notch squadron department head and elite strike-fighter pilot, all while still being a good shipmate, husband and father. Flip’s task is made more difficult by the actions of his somewhat thin-skinned and tyrannical XO, CDR Bill “Saint” Patrick who is constantly undercutting the Raven’s well-regarded Skipper, CDR Steve “Cajun” Lassiter. Tailhookers of all generations will recognize Saint’s character – he is that guy who could always be counted on to demoralize the Ready Room, spoil liberty plans and generally oppress his JOs while alienating all his fellow Senior Officers. The author does a superlative job of weaving a narrative of these personal relationships and ready room dynamics in and around captivating depictions of the combat flight operations of a Super Carrier and the embarked Air Wing. The strength of Raven One lies in this blend of personal interactions and gripping portrayals of operational flying. The combat depictions are exceptionally realistic. In particular, the author does a superb job detailing several Close Air Support (CAS) missions, accurately capturing the close kinship between pilots and the Joint Terminal Attack Controllers (JTACs) on the ground in Iraq. In addition, there are some hair-raising air to air engagements detailed throughout the course of the novel. The author strikes a great balance between highly descriptive depictions of technical air operations and plain language explanations so that the non-aviator can equally enjoy this entertaining read. The inclusion of a “glossary of jargon and acronyms,” along with a squadron “roster” that details the names, ranks and call-signs of the officers in the Raven ready room, assists the reader in keeping track of the fast-paced, dynamic action described in this novel. I highly recommend this outstanding read. Slick flying sequences and ready room drama aside, the author maintains a tight and suspenseful plot line that keeps the reader engaged throughout. Tailhookers and non-aviators alike will thoroughly enjoy this exceptional tale of courage and daring. "A page turner...Raven One makes a major contribution to aircraft carrier history during difficult deployments. The author has skillfully woven the intense combat maneuvers with a fascinating human interest story. This reviewer recommends this book in which the author's personal experience in the sky and in the wardroom tell it like it is." I enjoyed this first novel by fellow Daedalian, Captain Kevin P. Miller, USN (Retired). Miller uses his Navy tactical aviator background (A-7E and FA-18C) to weave a story of a Hornet squadron on deployment to the Gulf of Oman area. The story gives a good look at naval aviator life on today's carriers, including the diverse personalities and skill sets you and I found in the squadrons we flew with "back in the day." The flying scenes are well done and show the author has a great handle on the FA-18C and its capabilities. The main antagonist in this novel is Iran, and the scenario, which starts the combat action, I thought, was conceivable. The "I didn't see that coming" moment happens when everyone realizes the Iranians have a 5th generation fighter, albeit in small numbers. The result is some terrific air-to-air scenes. There are several other surprises that pop up in the story, but I will let you find them. Kevin Miller leaves several areas in the book open for future exploration - do I smell a sequel coming? If it does, I will definitely read it!